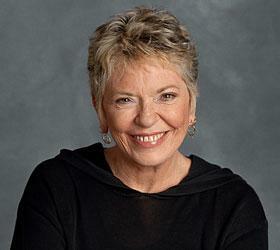 Linda Ellerbee is a woman of spirit and determination who has enlightened and entertained audiences for over 40 years. She is a respected journalist, award-winning television producer, best-selling author, breast cancer survivor, mother, grandmother and one of the most sought-after speakers in America. Widely recognized for her outstanding work, she has earned numerous accolades including several Emmy, Peabody and duPont Columbia awards. For the last twenty years, Ellerbee has led Lucky Duck Productions, which produces high-quality programming for television networks worldwide. Her news show for kids, Nick News, has aired on Nickelodeon since 1991, and is the longest-running and most-watched children's news program ever. Revered as a pioneer, a survivor and a role model for all ages, Ellerbee charms audiences with her trademark wit and wisdom while inspiring them with her gifts of honesty, courage, hope, and laughter. From newspapers to networks, she’s gone from covering fires and parades to presidential debates and international terrorism, and collected some of the most prestigious awards along the way. Ellerbee talks about her experience as a veteran journalist. In the future, our kids will either learn to use the media that surround them as tools, or they will be tools of that media. Television. The Internet. iPhones. What’s next? And what is media literacy today, and how do we teach it? Ellerbee offers insight and perspective gained from speaking with (and listening to) kids for nearly 20 years on the critically-acclaimed children’s television series, Nick News…and from raising two media-savvy kids of her own. Ellerbee gives her rules for surviving a changing world with the heart intact – from surviving breast cancer, to climbing mountains, from overcoming obstacles to making a noise. In her life and in her career, Ellerbee has learned that change is the norm. Ellerbee describes her experience with breast cancer – from the heartfelt yet amusing reactions of friends and colleagues, to the determination and spirit that help make her a 16+-year survivor. How Ellerbee balanced having kids and building a career…or tried to. Ellerbee delivers her trademark wit and wisdom on everything from leaving the networks to starting her own company, from having a boss to being the boss. "We have heard so many wonderful and positive comments about Linda. She was absolutely wonderful – her speech was dynamic, heartwarming and real." "She is truly an inspiration for all and I am so glad she was able to share her story with us in Houston…"
"Linda was amazing in every sense and I've received such rave reviews from [everyone] who attended." "She was funny…she pulled at your heartstrings…some stories she told made you mad, then sad…she was the best guest [speaker] we've ever had."